From your morning coffee till your evening commute, you can work unplugged. When it’s time to kick back and relax, you can get long hours of iTunes movie playback. And with long standby time, you can go away for weeks and pick up right where you left off. Whatever the task, the fifth-generation Intel Core i5 processor with Intel HD graphics are up to it. From editing photos to browsing the web, everything happens ultrafast. And all that power is encased in an Incredibly thin Unibody design. 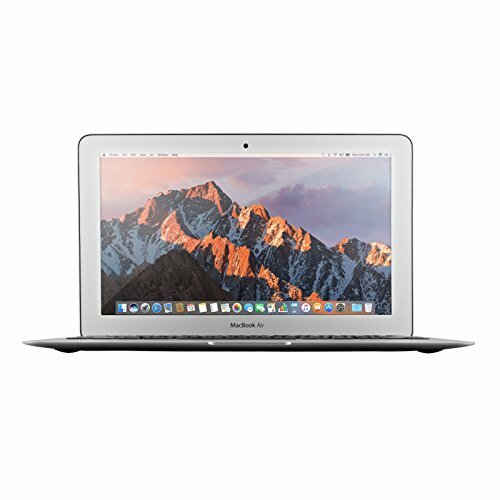 With the latest 802.11Ac technology, MacBook Air takes Wi-Fi speeds over the top. Connect to an 802.11Ac base station – including airport extreme or airport time capsule – and experience wireless performance up to 3x faster than the previous Wi-Fi generation. 802.11Ac also delivers expanded range, so you can work more freely than ever.